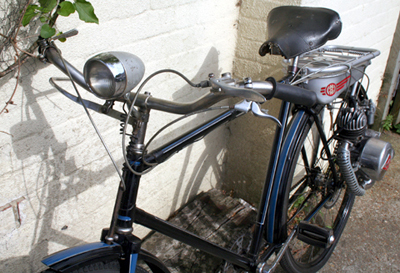 Here’s a picture of my 1951 Fuchs cycle-attachment. As you can see from the advert above, it fits on the left side of the rear wheel, and the petrol tank is situated on a rack above the rear wheel. It is almost identical to the Victoria FM38. 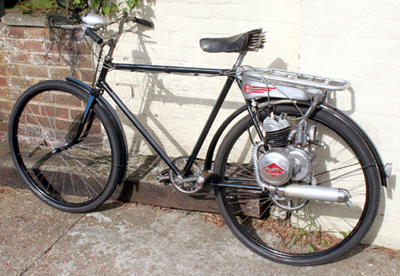 In fact, Fuchs was one of the original designers of the Victoria cyclemotor. But he then returned to Austria and brought out his own model, the Fuchs FM40S, below. 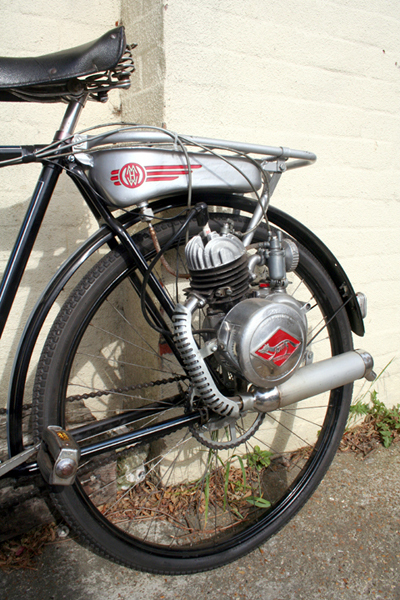 The second version of the Fuchs FM40 was manufactured from 1952 to 1955. The machine pictured above is owned by my friend Pat in Paris. 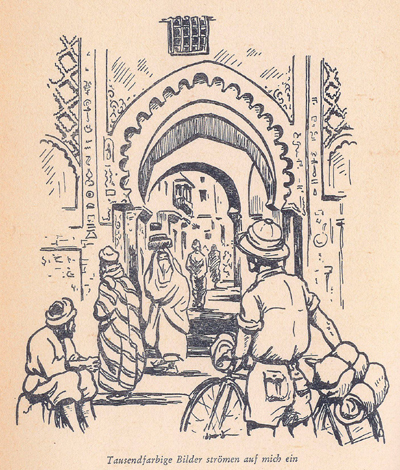 Unfortunately, the piston is stuck, so he has some work to do before he’ll be motoring around the Parisien suburbs on it. 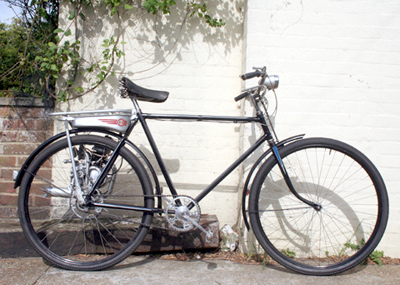 Patrick completed the restoration of the Fuchs engine pictured at the top of the page, found a rare 1949 Austrian HMW bicycle to attach it to – the original mount for Fuchs cyclemotors – and did, in fact, run it around the suburbs of Paris. 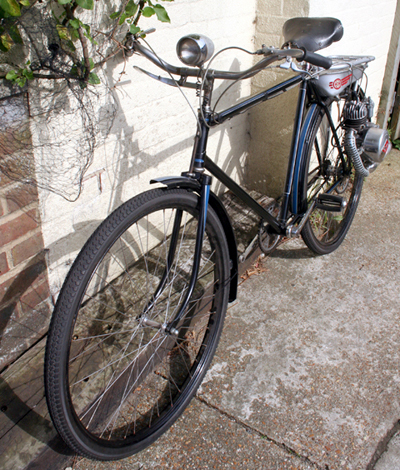 When I visited him recently with a van-load of old British bicycles and cyclemotor engines, the Fuchs found its way into my van as part of the exchange and I can now show you the finished result in all its glory …in my driveway.